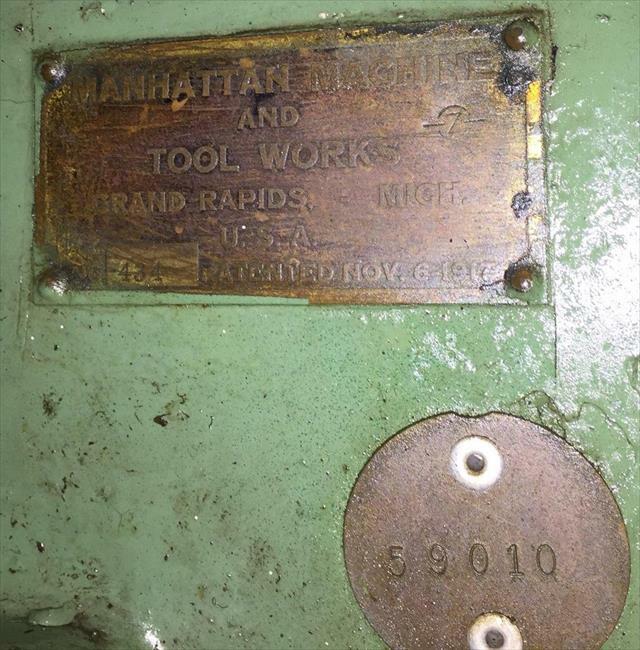 Manhattan Machine & Tool Co. 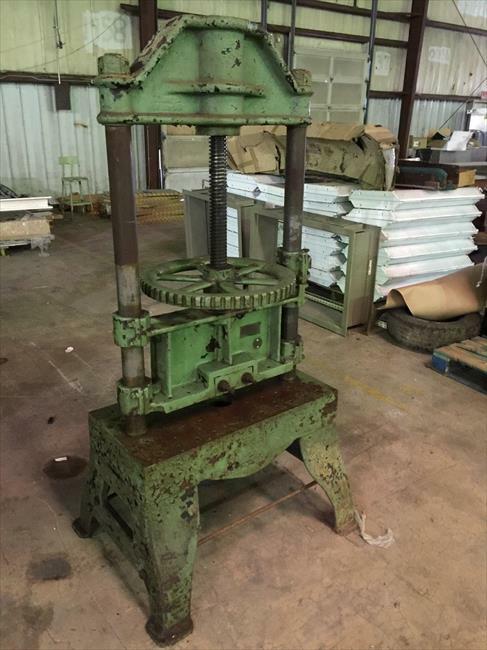 This Jarecki patent screw press was found sitting in a warehouse and the owners contacted us to learn more about it. According to the patent for this press, it is intended to be used by tool and die makers to test the dies and punches they are working on. Once the punches and dies have passed their tests, they would be put to work in punch presses.